Subject: LongIsland.com - Your Name sent you Event details of "DIY Workshop: Deck and Patio Staining"
Increase the longevity of your wood deck and patio in our maintenance focused workshop. 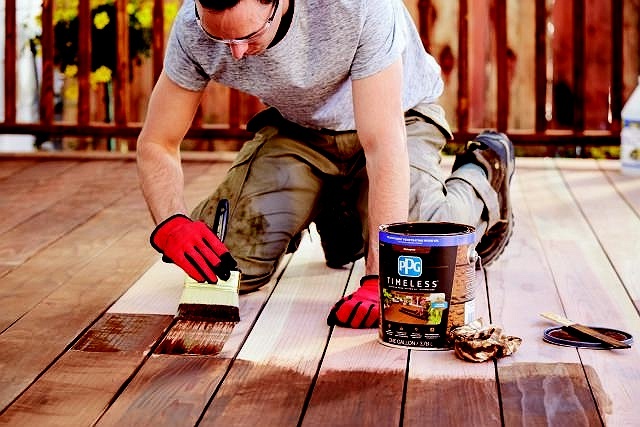 Our knowledgeable Associate will cover the steps of annual deck and patio maintenance for untreated and pressure-treated woods. From saving time with a pressure washer, selecting the best cleaners to exfoliate your wood, suggesting ideal sealants that accommodate foot traffic and your style needs to providing pointers to avoid damaging your deck in the process, you’ll leave with the knowledge to protect your investment and enjoy your outdoor space for years to come.